Collapsible fire pit, breaks down into 9 individual pieces (12 if you get a bbq grill). 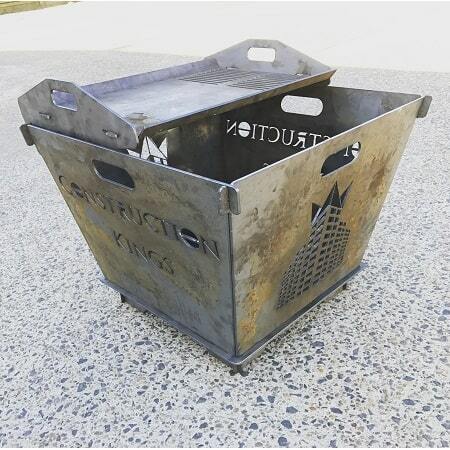 The fire pit has a base of 450x450mm, height of the fire pit overall is 440mm, with the depth of the fire pit being 385mm. The design having angled sides it leaves for a greater area on top of 550x550mm. 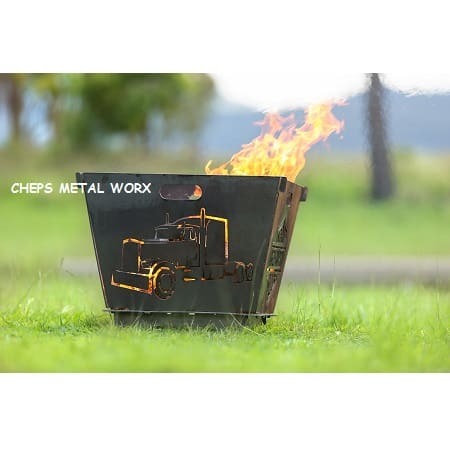 All fire pits are constructed from 4mm mild steel. 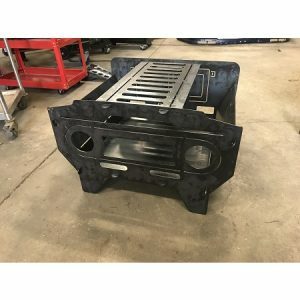 When collapsed back down it sits 36mm high, with a base dimension of 550×450. All fire pit design’s come with 2 blank sides and 2 sides with metal art, as shown in display images above. 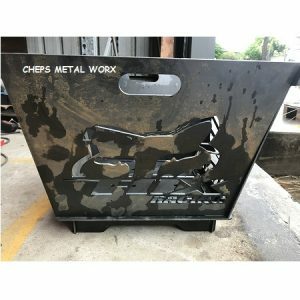 There is also an optional bbq grill available, which is 530x390mm. 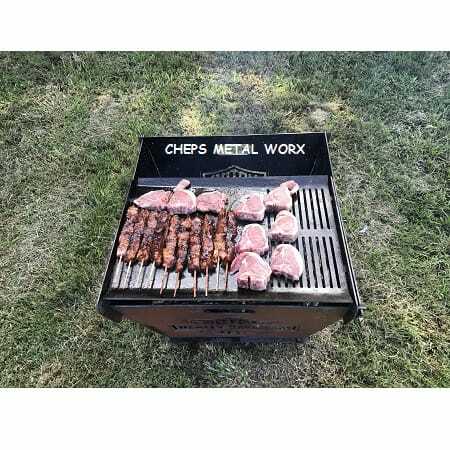 The grill has 2 clip in sides, with handles for easy mounting and dismounting the grill, and 2 folded edges which keeps food from rolling off the edges, whilst still allowing excess oil to drain away. 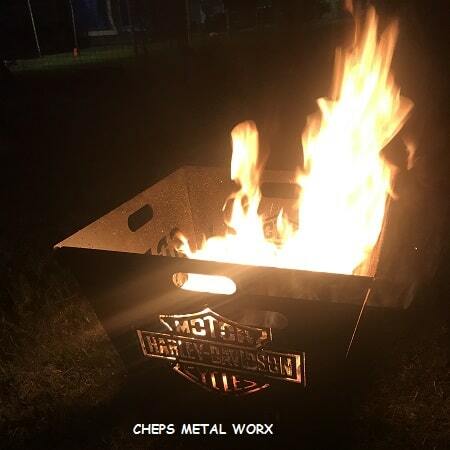 NOTE: Custom sides are a business logo, design, or artistic piece you would like put into a firepit.